Over the past couple years the amount of work looks I share has steadily diminished. Summer used to be my time, with the extra sunlight getting a few snaps of a look at the end of the day was a cinch. Now I feel like most week nights hold some obligation, all the while rationalizing that my work looks have just been uninspiring. So when Sean asked me if I wanted to go take photos on a particularly sunny Tuesday last week, my first response was that I didn't really like my outfit. 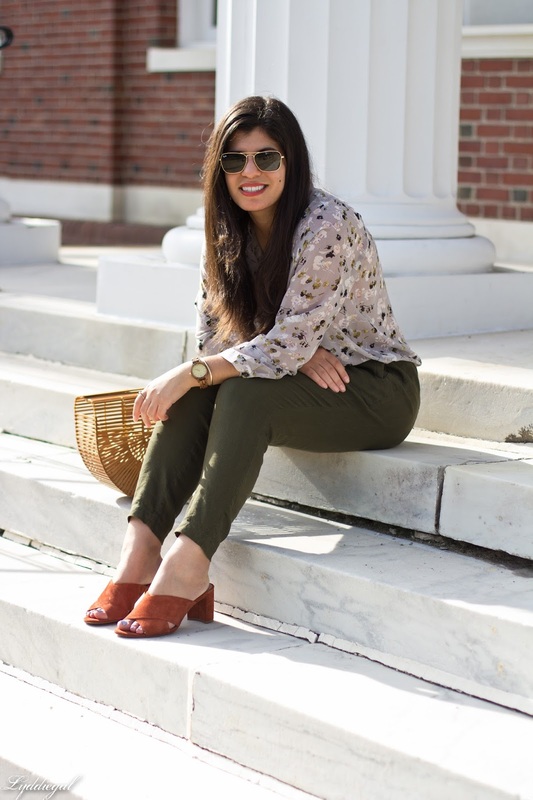 But I decided I liked this blouse with these pants for a reason, just when tucked in it was blousey and billowy and my waist felt lost, so I turned to my favorite trick, and knotted it up. Then I grabbed a pair of sunglasses I haven't worn in a while, as they've been tucked in a drawer - out of sight, out of mind. Finally I swapped my practical bag for the bamboo one. Not that I haven't taken the bamboo bag to work before! 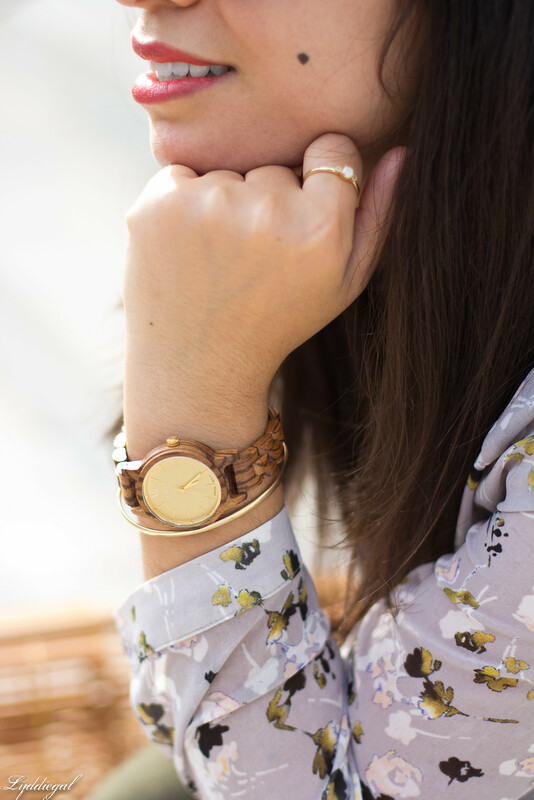 With a few little tweaks, my boring work outfit became blog-worthy. If only I could think about these things when getting dressed the first time. 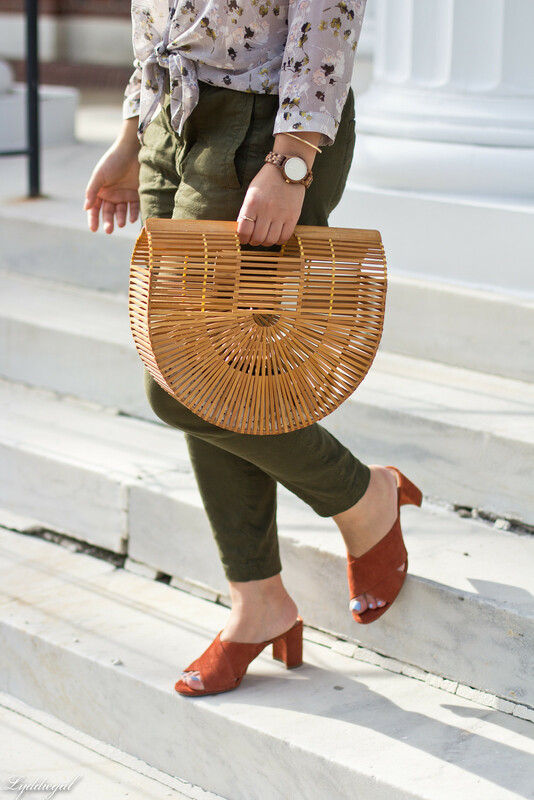 This transitions from a work outfit into a blog outfit pretty darn well - I sort of feel like all things are possible with that super cool purse though. Works like a dream ! 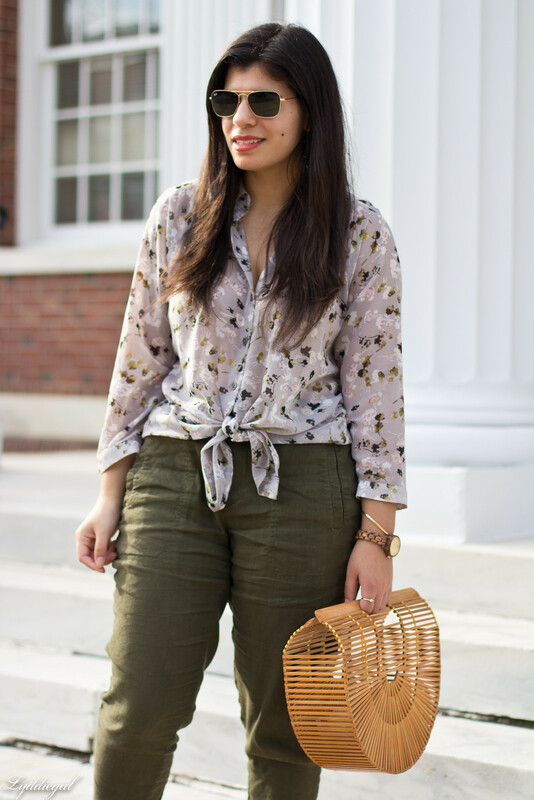 Knotting this blouse was such a good call- it looks so cute! Loving those mule sandals, too, lady! I think you look adorable! I love that you knotted the top for a fun twist. Also, I am really jealous he SUGGESTED you go take pictures. I have to BEG! Love this whole look, perfect for the office or a night out, that bag is lovely too! I love this look! I agree that my weekday looks also feel uninspiring these days though. 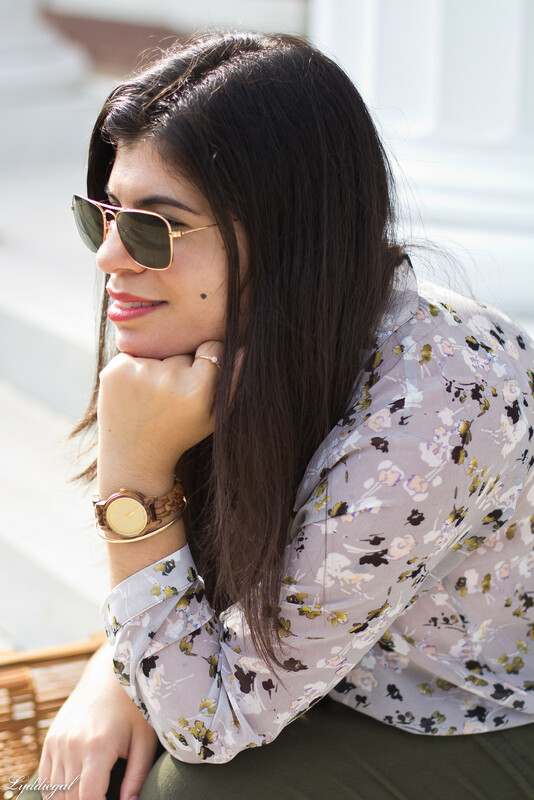 It's hard to feel blog worthy all the time! 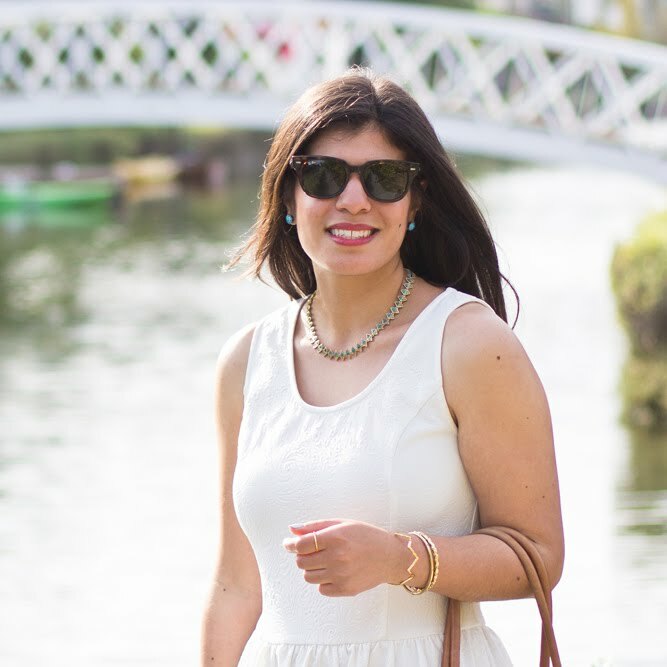 But I like seeing what bloggers really wear! 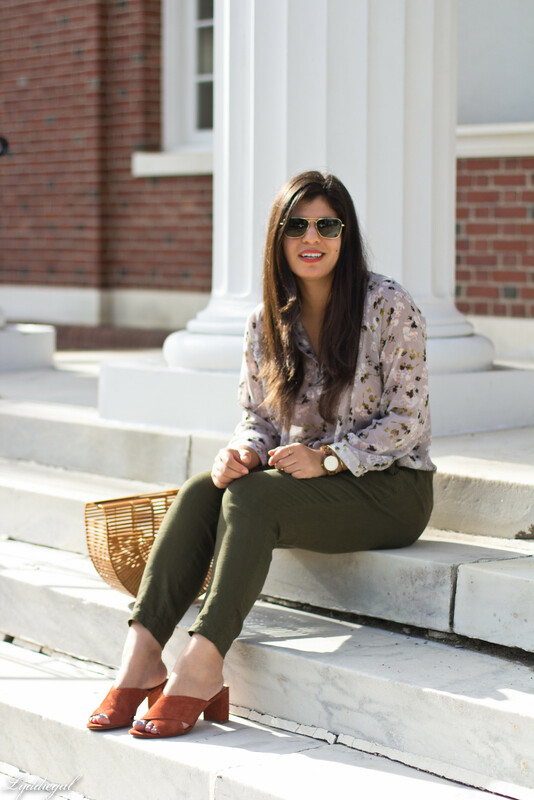 That blouse is so pretty, and it looks great knotted! I'm glad you took the photos! 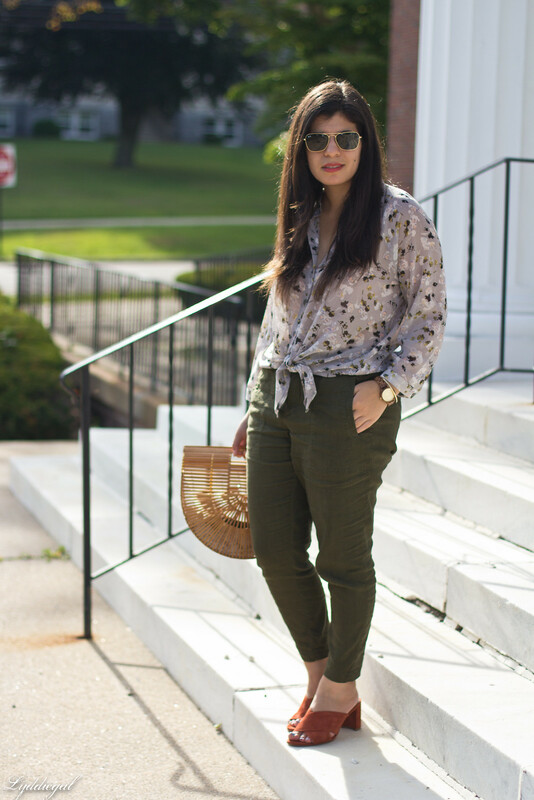 The blouse is so pretty and I love it paired with the olive pants. I never would have thought to put them together, but it works perfectly! What a cute fun look! 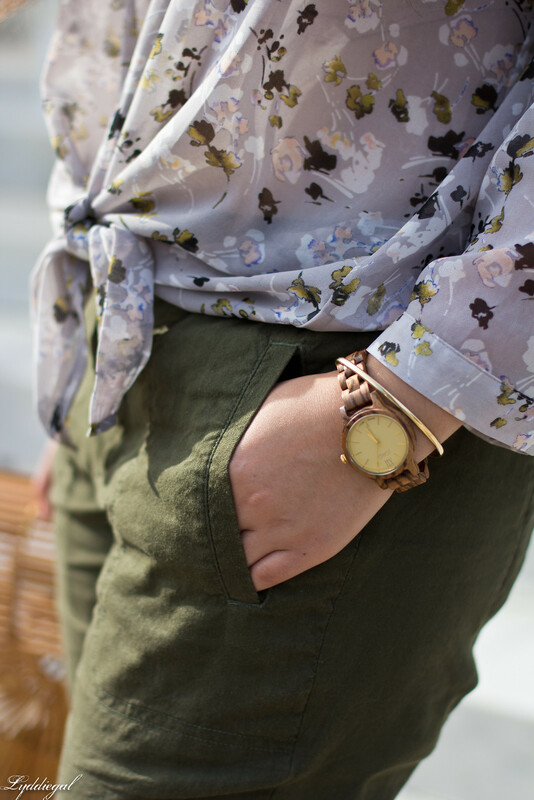 Love that floral top and the olive pants! I love the look! Such an amazing color combo! I like how you knotted the top. I really like the colors of it with the olive green. You look adorable in this outfit. Trying to get looks after a long day is so hard. So glad you did it with this. I love the shoes and bag with this. Totally appropriate for a weekend or lunch out!